5. Within the SpecVet Appt. 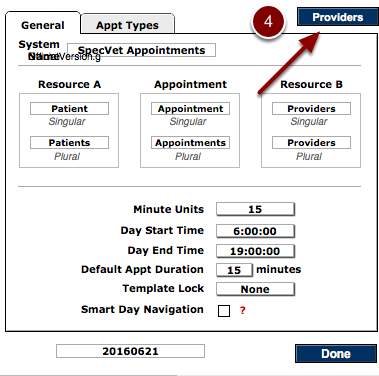 - Providers window you will select the blue "Detail" button at the top of the window next to the green arrows. 7. Enter the information for the new column. The Abbrev is for the abbreviated view on the dashboard, usually in all CAPS. 8. 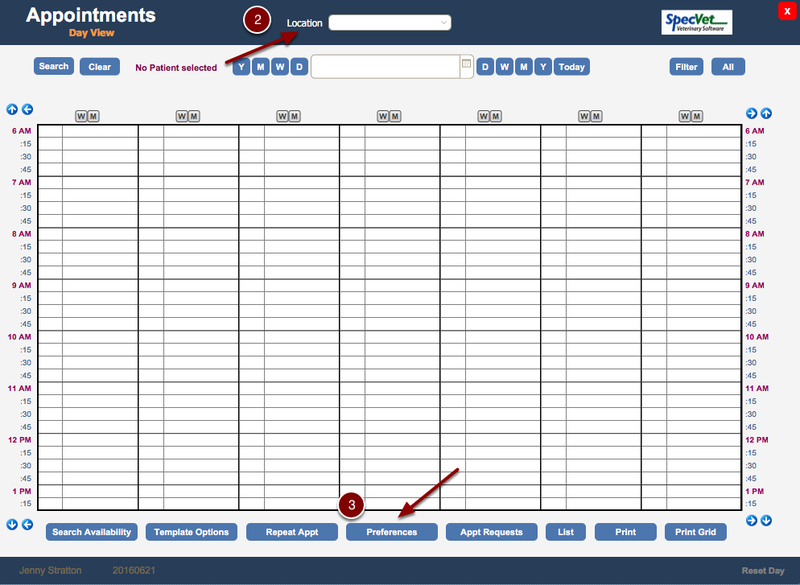 The "sort ID" box is what position you would like the column listed in calendar. Confirm the Site_ID and close. 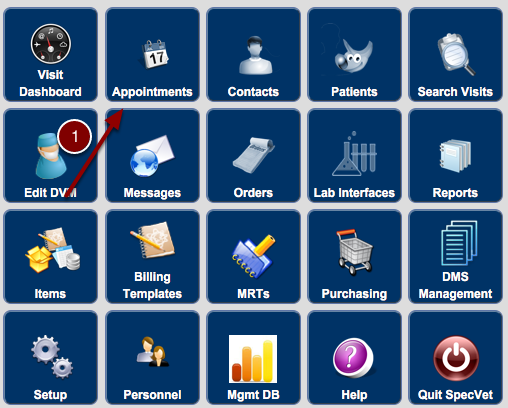 Once you have entered the information the system will regenerate. This can take several minutes. 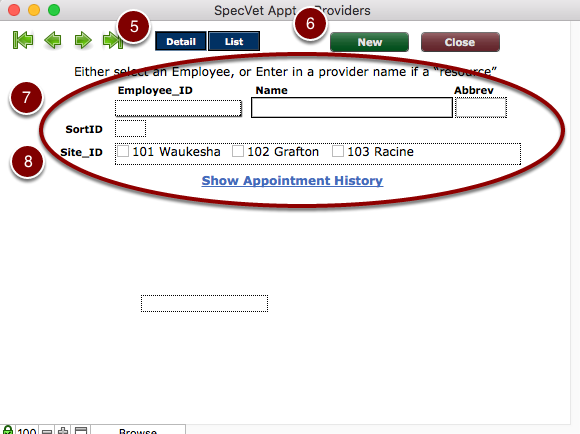 NOTE: In order for the column to appear in the appointment schedule all users must log out of SpecVet to be able to view the changes.